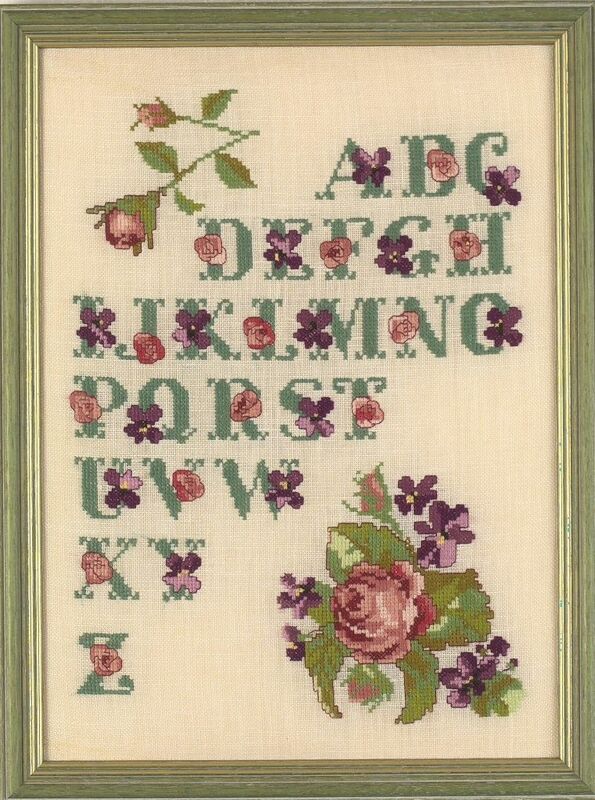 This pretty sampler was inspired by an antique sampler seen in a local antique shop and at the time the price was exactly twice my month’s housekeeping! The design is worked in cross stitch and backstitch. There are a few fractional stitches in the design so you may find it easier to work this design on linen. If in doubt refer to our FAQ page.